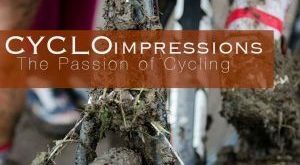 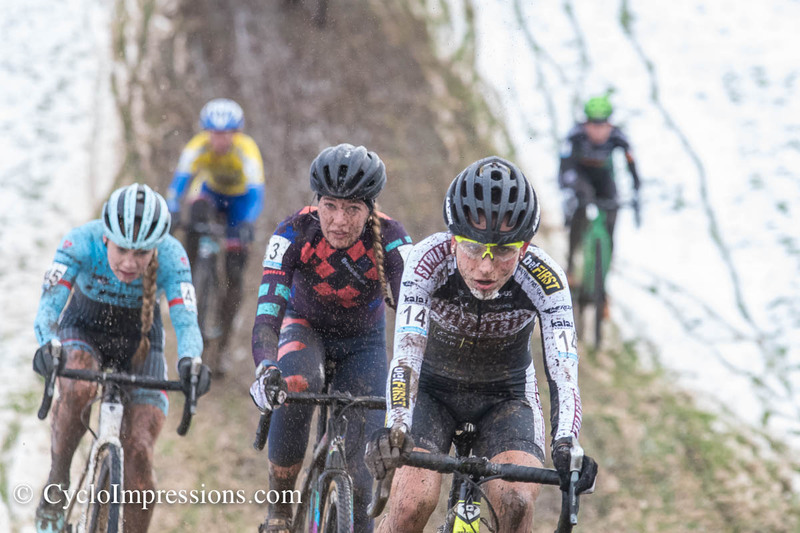 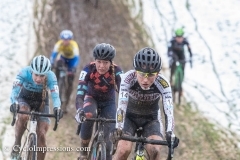 This year, the mother of all cyclocross races had once again everything to offer a classic cyclocross race may deliver. 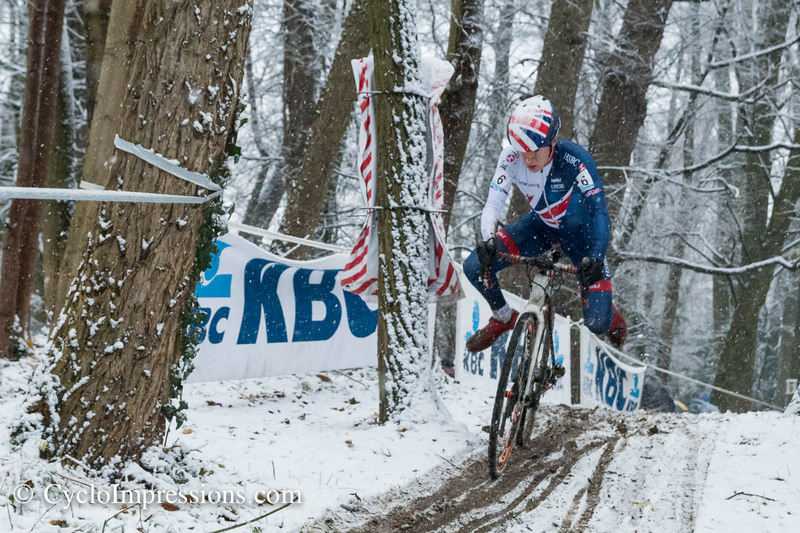 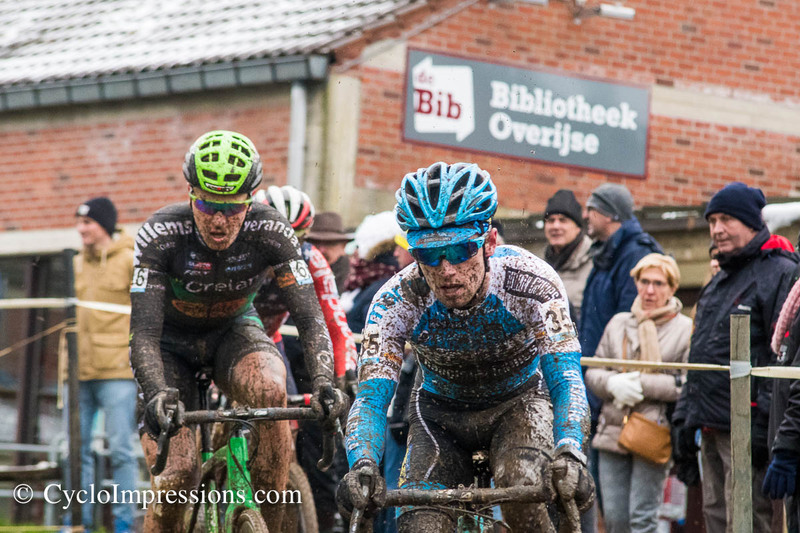 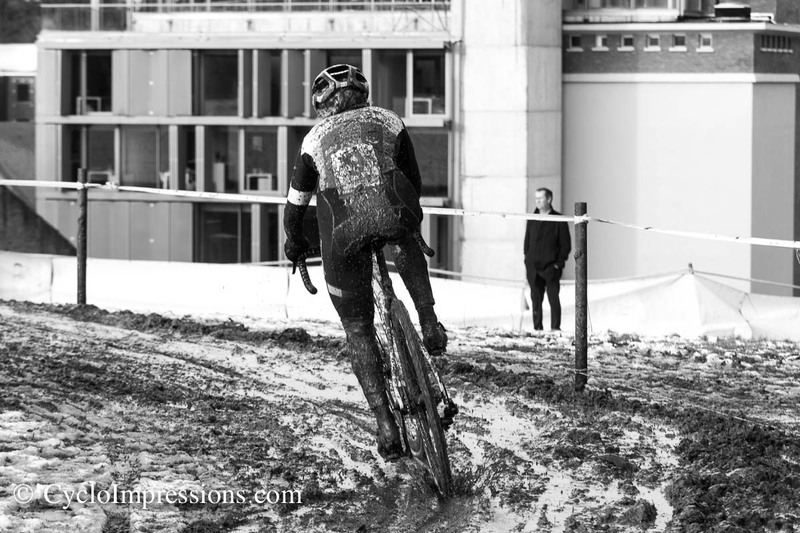 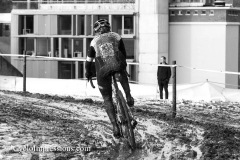 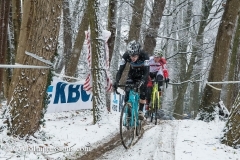 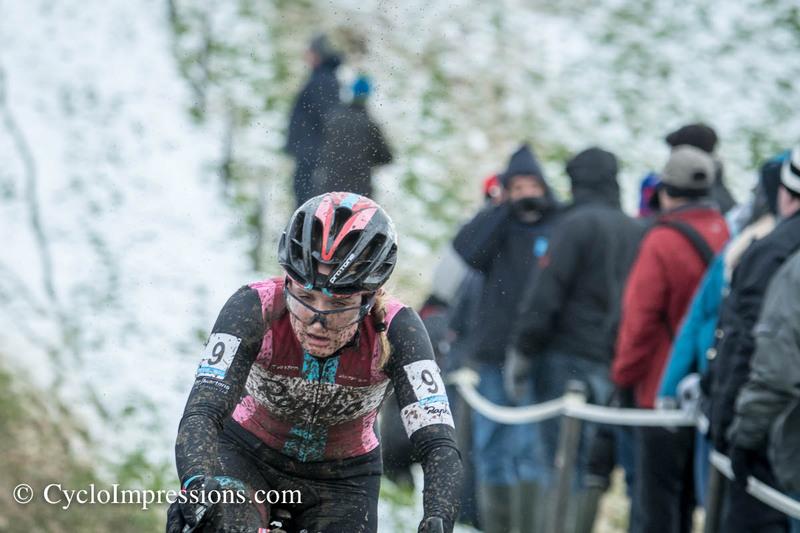 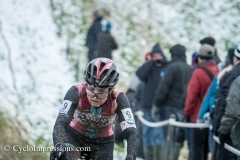 Snow, mud, sunshine and rain were waiting for riders and spectators at this race, which has been taking place since 1960. 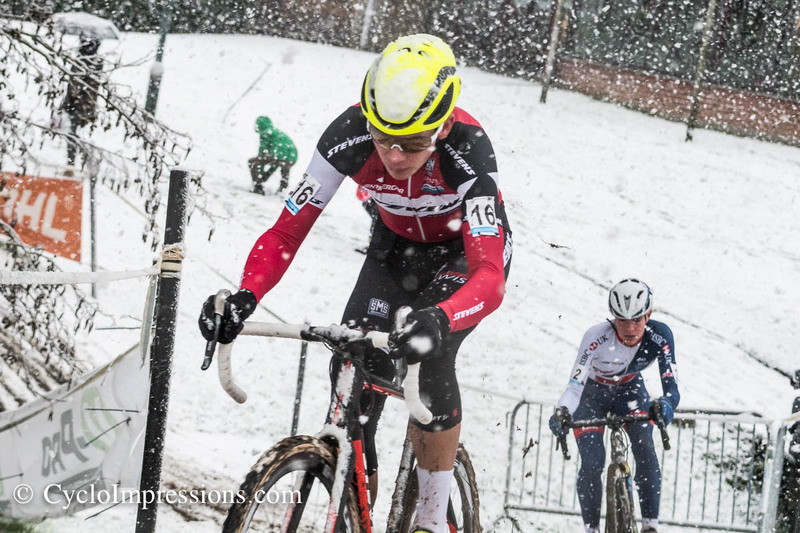 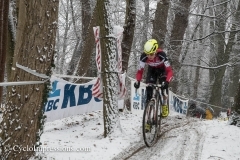 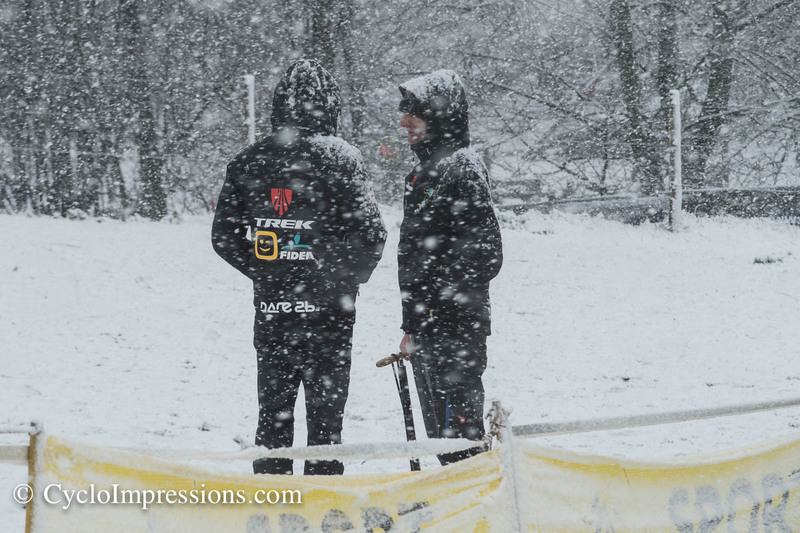 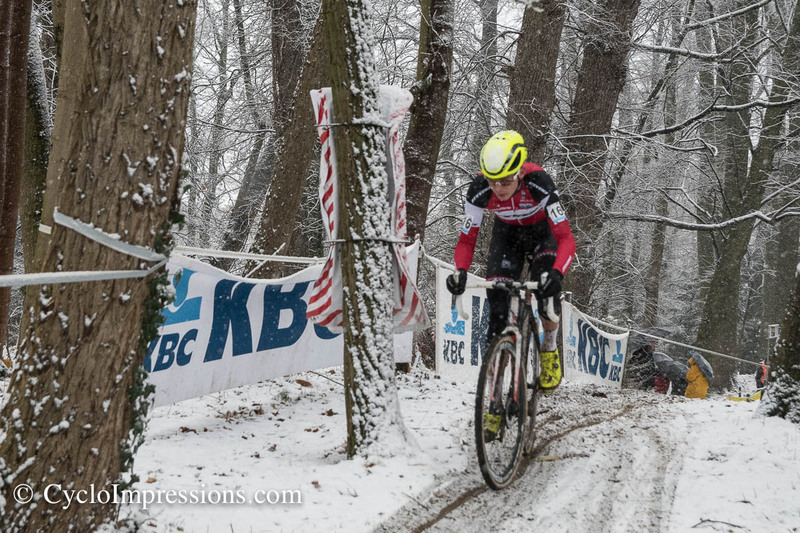 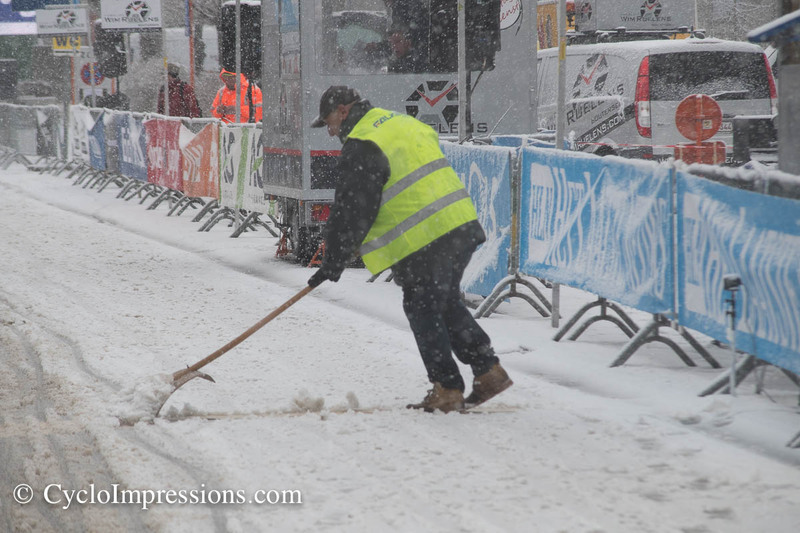 In the early morning, the youth categories were confronted with heavy snowfall and a slippery track. In the U17 category Ward Huybs won ahead of Lennert Belmans and the Frenchman Tristan Brien. 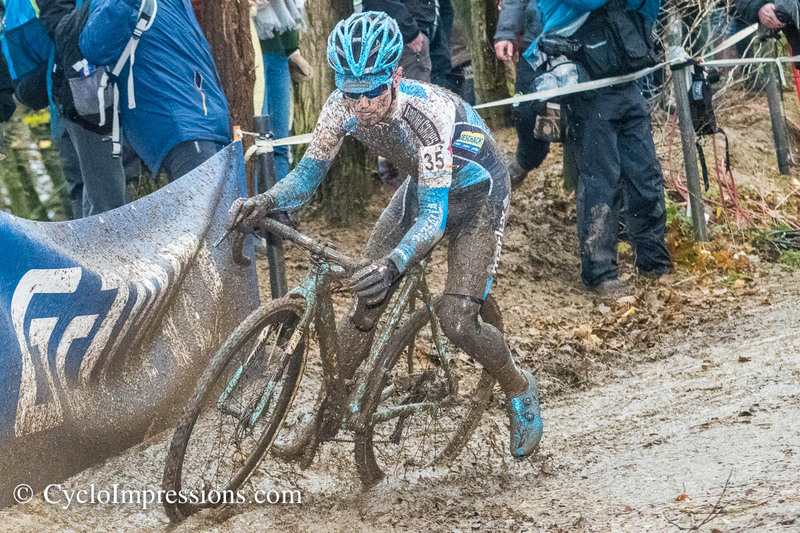 Ben Tullet was the big favourite of the juniors, but he should not have it as easy as he had hoped. 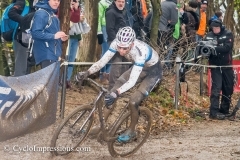 Former German U17 champion Tom Lindner made it a tough race for the Briton and even managed to take the lead for a while. 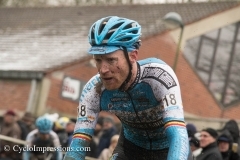 In the end, Tullet was able to pull away and win a solo victory. 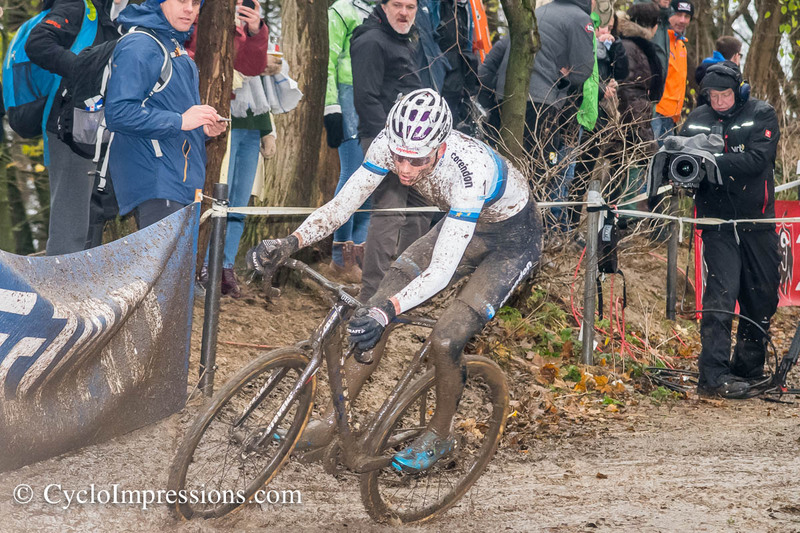 Lindner had to defend himself against Xander Geysel, who had moved to second place but had problems with his circuit in the last half lap. 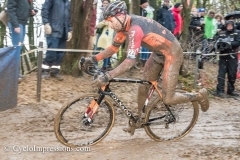 At the end, Tom Lindner was able to secure second place in the sprint. 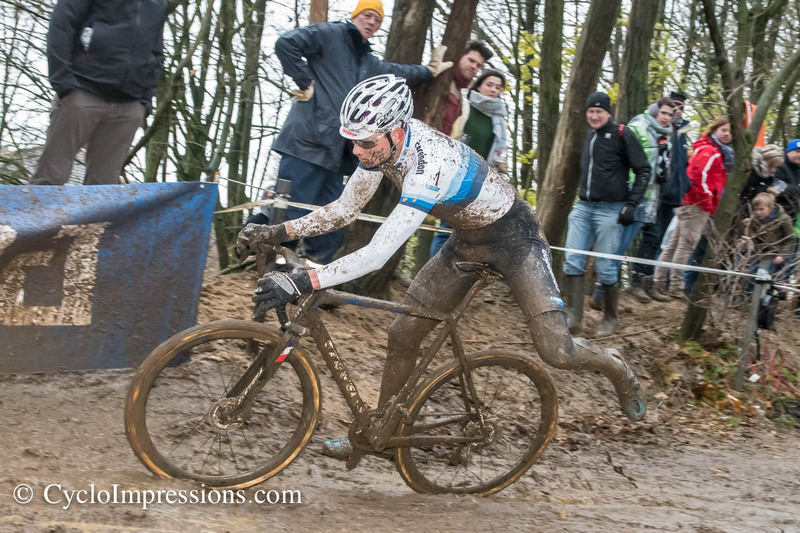 In the race of the U23 category, Yannick Peter managed to take his first victory of this season. 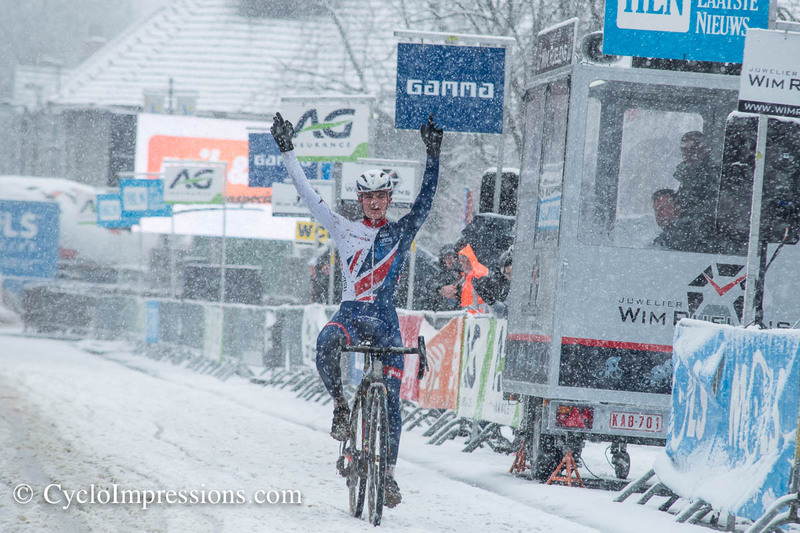 Thijs Aerts gained the second rank by defeating the british rider Ben Terner in the finishing sprint. 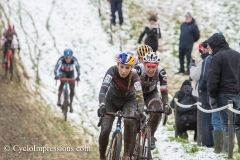 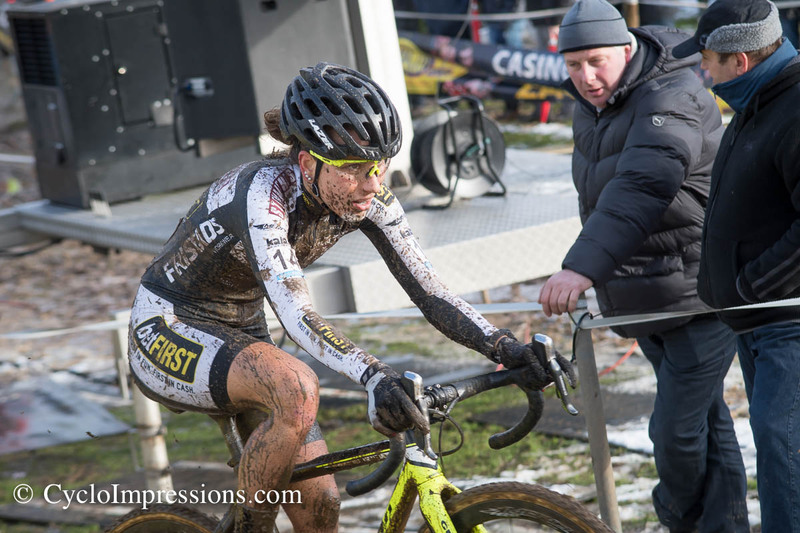 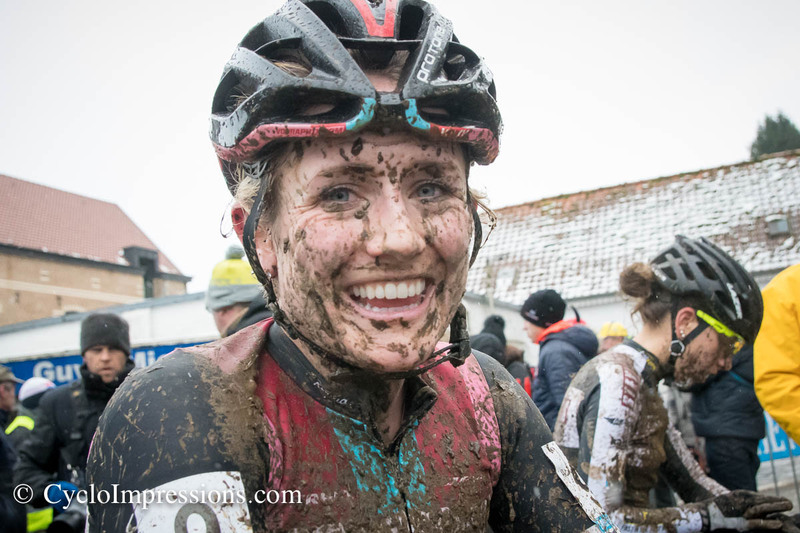 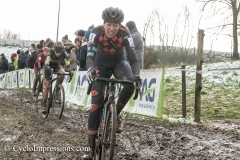 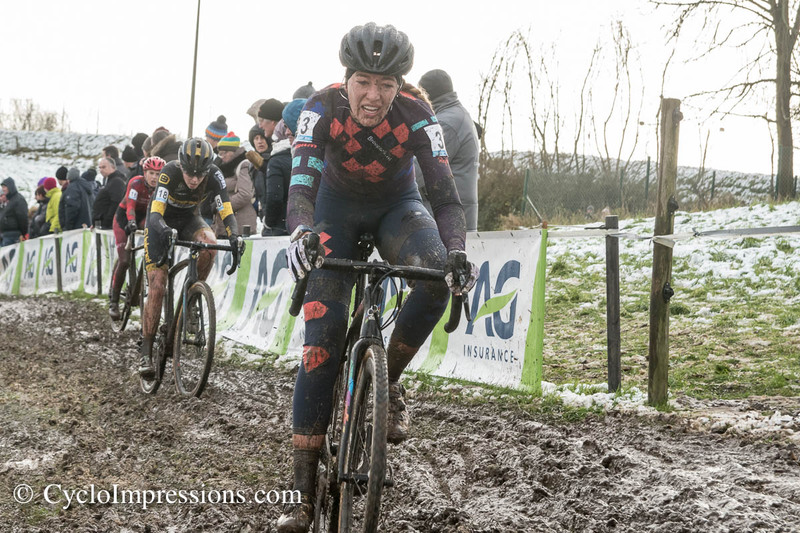 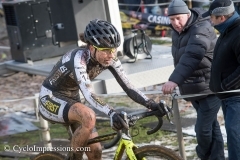 One day after her re-entry into the cyclocross after two years of absence, the former World Champion celebrated her first victory. At first, the American Ellen Noble won the start duel and took a small advantage over world champion Sanne Cant and the Dutch Lucinda Brand. But halfway through the first lap, Cant and Brand were able to catch up with the American. 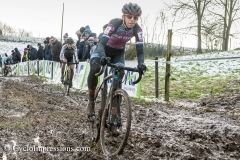 Meanwhile, Ferrand Prevot slowly but steadily fought her way up from the last row of the grid where she had to start due to a lack of UCI points. Right in the middle of the race she had reached the top and took the lead. 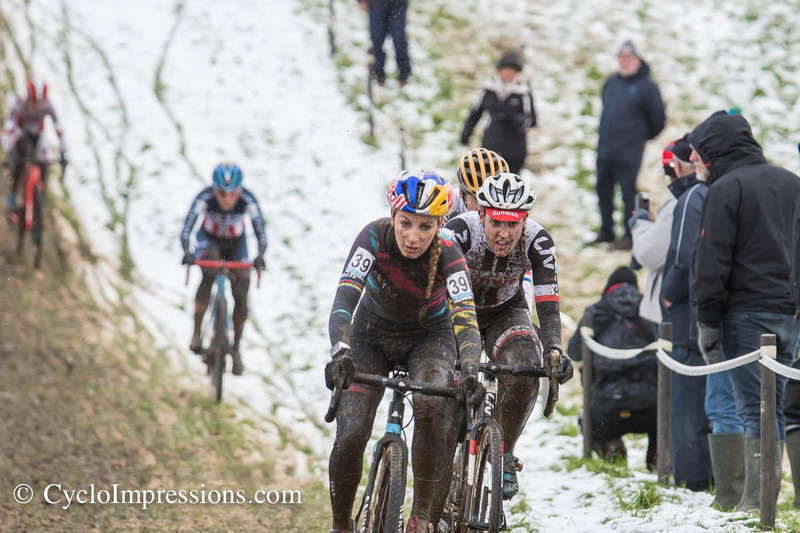 While Sanne Cant and Lucinda Brand were able to hold their ground at the beginning, the French rider clearly broke away in the last lap. 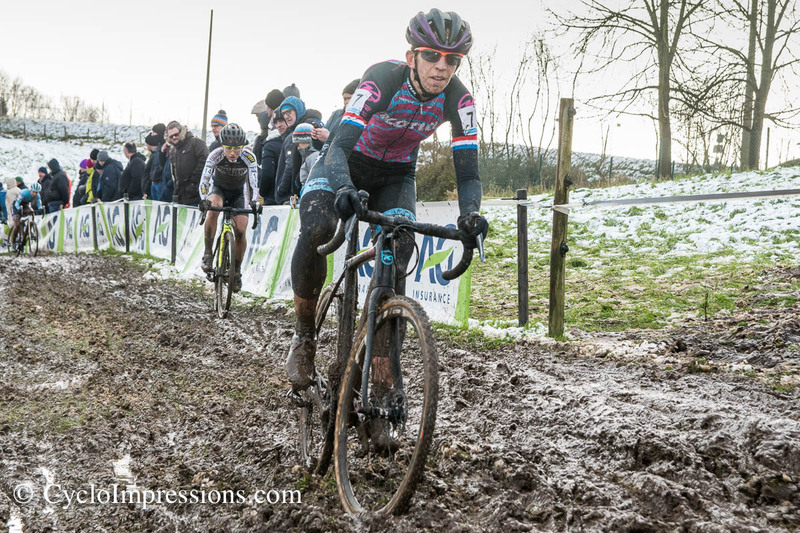 Behind Ferrand Prevot there was an exciting competition between the world champion and Lucinda Brand for the remaining podium spots. 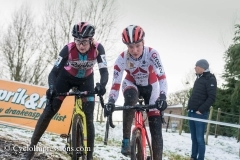 In the beginning it looked as if Sanne Cant would have to settle for third place, but after a few minor mistakes made by the dutch rider, Cant was able to catch up and win the sprint duel for second place. 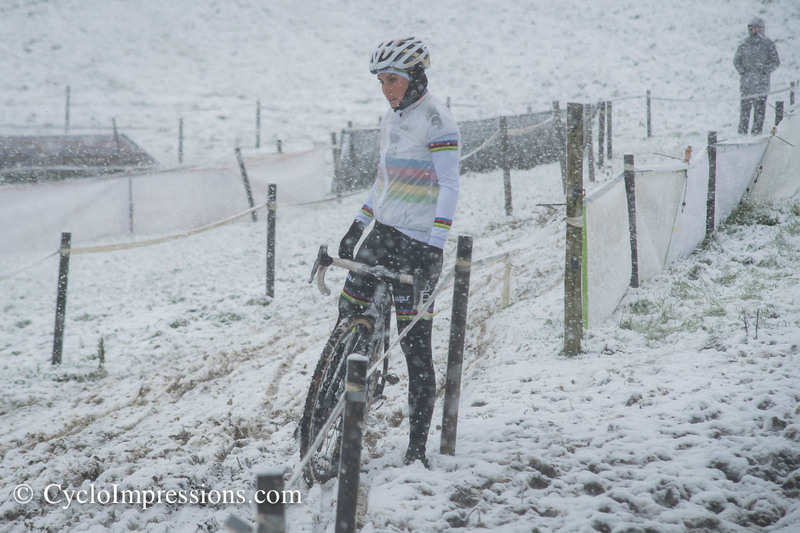 Once again the European champion was the measure of all things. 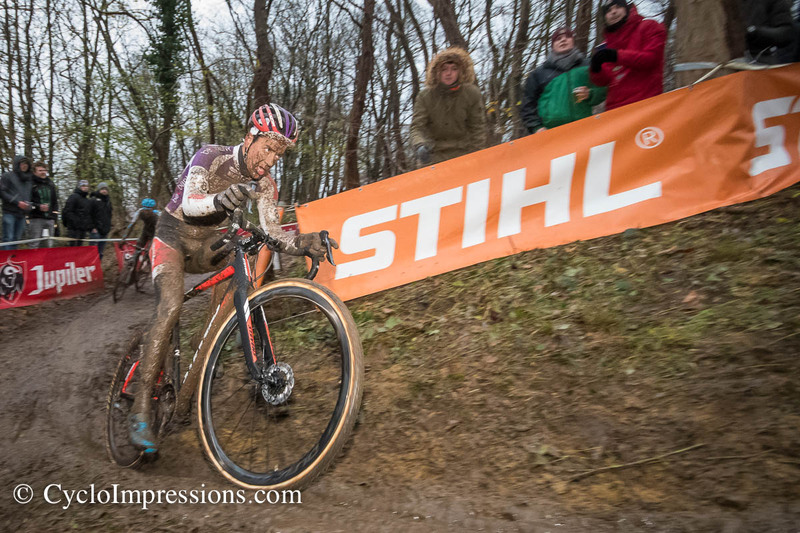 Mathieu van der Poel won the start duel and led the peloton over the first ascent into the field. 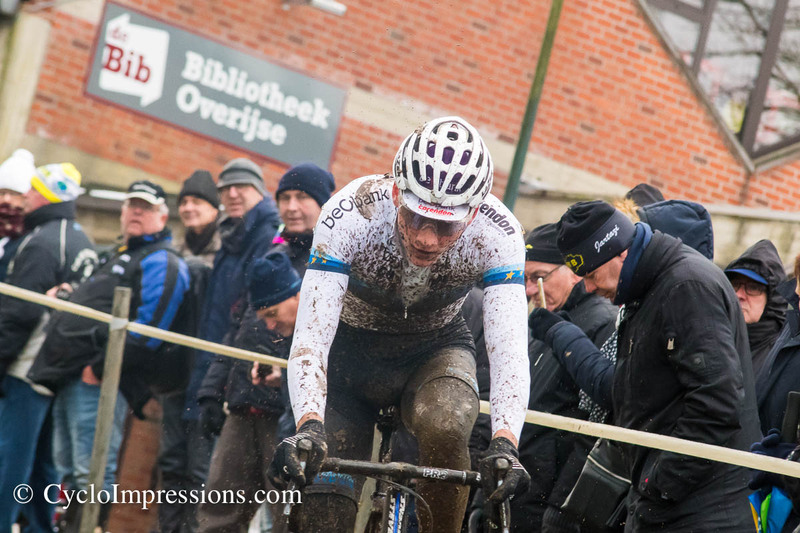 No one was able to keep up with the dutchman and so van der Poel drove a lonely race to his seventeenth victory this season. 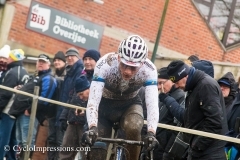 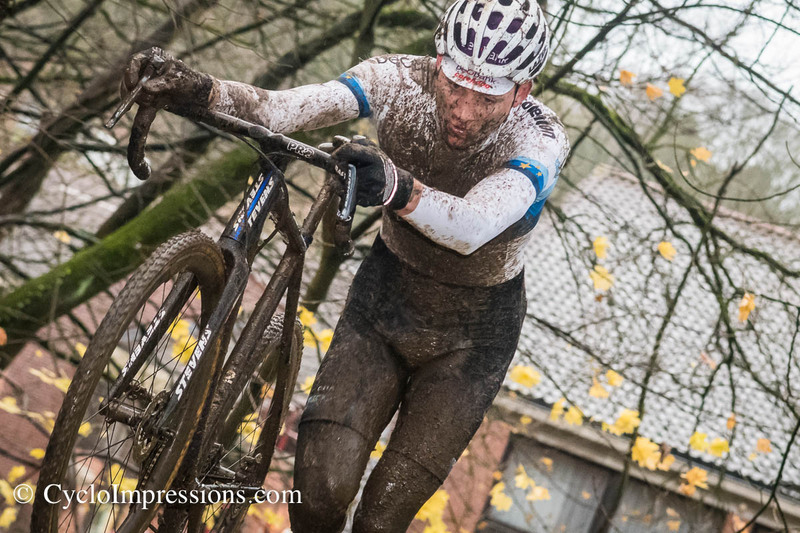 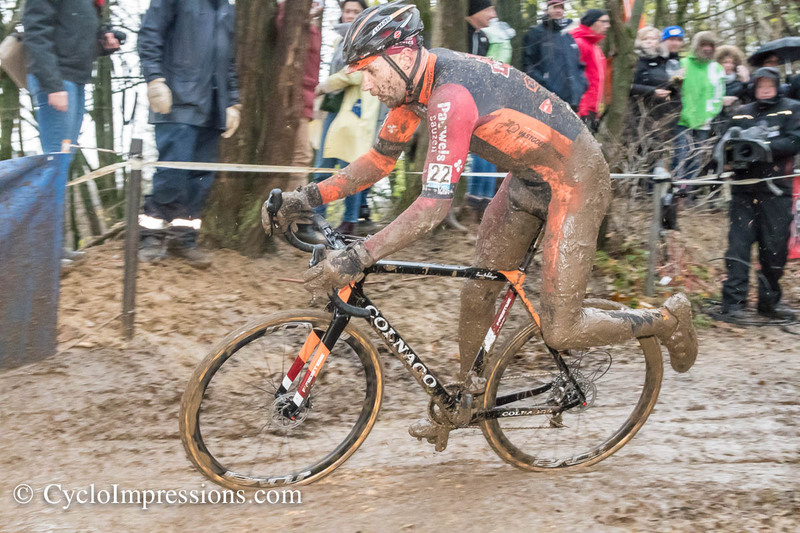 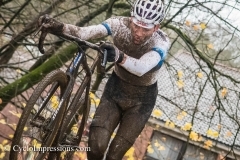 For van der Poel, this was the third victory in Overijse in a row. 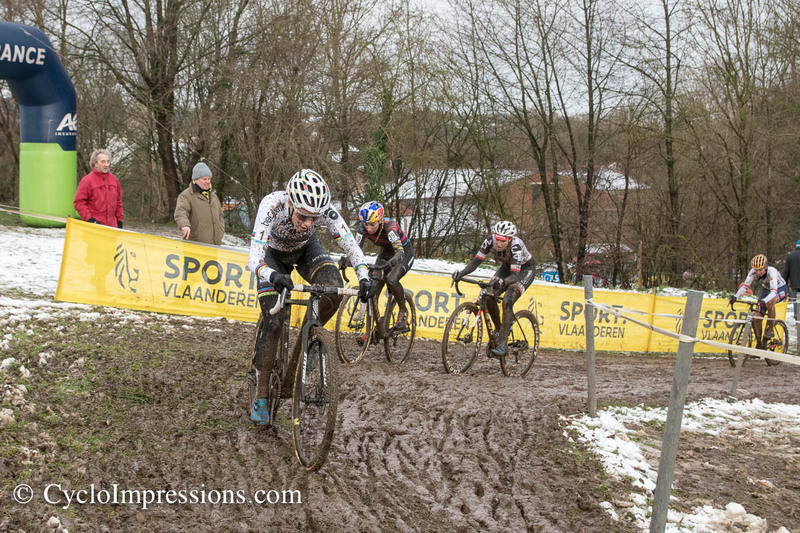 Behind the winner, however, there were exciting battles for the remaining podium places. 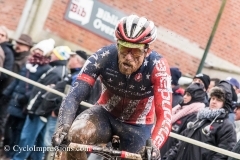 At first it was the american champion Stephen Hyde, who was surprisingly in second place. 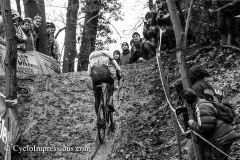 But the difficult and above all technically demanding course took its toll, and so Hyde slowly but steadily receded. 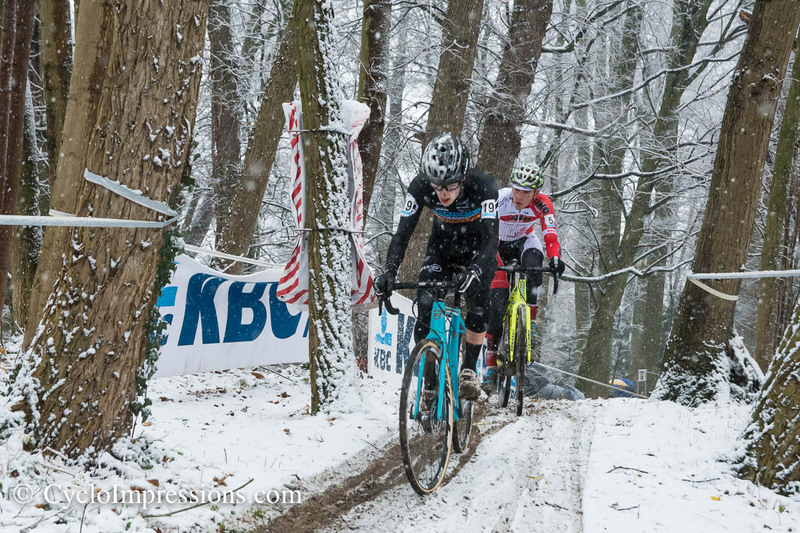 On the other hand, Eli Iserbyt, Kevin Pauwels, Klaas Vantornout and Tom Meeussen were the next big names to emerge. 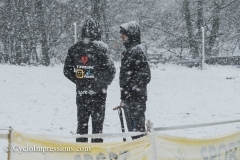 Corne van Kessel and Jens Adams also did well and gained one position after another on the demanding course. In the end, Pauwels and Vantornout fell back again, and Adams and Iserbyt also had to let Meeussen and van Kessel go. Corne van Kessel had the better end for himself,last but not least because Tom Meeussen was unable to keep up with him due to a puncture.